Amidst the slew of recent anime announcements came the delightful information via Twitter that a Ten Count anime adaptation is on the way in 2020! It doesn’t seem like that often that BL manga make the jump to anime, so this is kind of unexpected but very welcome news! There’s nothing of the Ten Count anime in action just yet, but an official website has been launched and a brief teaser trailer has been released. I can’t wait to hear more about who will be working on the series and get a glimpse of how it will look! It’s an excellent story with beautiful artwork, and I’d highly recommend reading the manga in the wait for the TV anime. It’s certainly nice to have some more Ten Count content to look forward to with the manga finished now though! 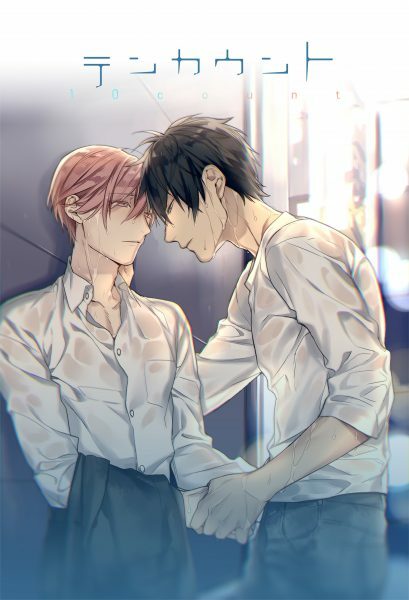 The Ten Count anime is due to air in 2020.